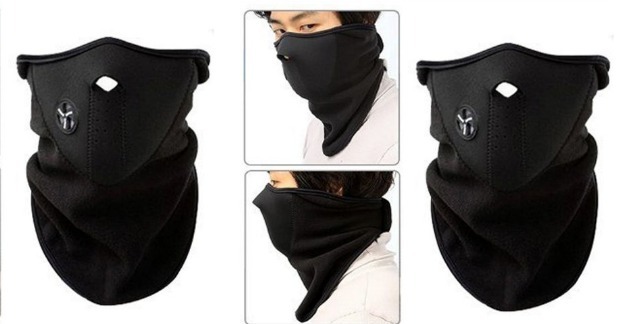 Neoprene Half Face Mask Just $1.99 + FREE Shipping! You are here: Home / Great Deals / Amazon Deals / Neoprene Half Face Mask Just $1.99 + FREE Shipping! Get a Neoprene Fleece Half Face Mask for just $1.99 plus FREE shipping on Amazon! This would be great for anyone who works or loves the outdoors and makes a great stocking stuffer, too! Brand new and high quality soft diving suit fleece material warm mask. Unisex: Men & Women, Boys & Girls. New Side Ventilation System Allows Easy Breathing & Preventing Frost Build Up To Your Goggle. Perfectly Keeps Warm & Well protected from cold, snow, wind & sun etc.